Celebrate the holidays with Mission San Juan Capistrano for the first ever Christmas Tree Lighting program as part of the long-standing annual Christmas at the Mission event on Saturday, December 1, 2018 from 5:30 p.m. – 8:00 p.m. Bring the family and enjoy this fun, festive and memorable evening together at the beautiful Mission! The new Tree Lighting Program begins with a 7 p.m. special reading of “The First Christmas” by Mission Pastor, Monsignor. J. Michael McKiernan. The Program includes holiday carols, music and a light program at 7:15 p.m. and again at 7:45 p.m.
As part of the annual tradition, the event will feature live performances in its Central Courtyard that include Dickens-era carolers, a local orchestra, and mariachis playing “Merry-achi music of the season.” On the food front, there will be savory tamales offered by San Juan Capistrano’s Las Golondrinas restaurant as well as hot cocoa and sweet treats provided by 3:16 Bakery Shop, both San Juan Capistrano local businesses offering snacks for a nominal price. Children can enjoy the chance to decorate a holiday cookie for a nominal charge with Mrs. Claus and take selfies with Father Christmas in the historic Sala. Guests have the option to write holiday messages on a Mission postcard to be mailed to service men and women who are away from their families during the holiday season. Admission is $7 per adult, senior and child (ages 4-11). Children 3 years and under are free. Admission tickets will be sold exclusively online starting Thursday, November 1 at 9:00 a.m. Households of 4 to 8 may reserve the number of tickets equivalent to the membership level. $10 for adults, $9 for seniors and $7 for children (ages 4-11). $5 per person for Mission Members. *Due to safety, capacity is limited. There will be no re-entry to this event. *On December 1st, the Mission grounds will be open for general admission from 9:00 a.m. to 4:00 p.m. The Mission grounds will close at 4:00 p.m. Doors will re-open at 5:30 p.m. for Christmas at the Mission. General admission tickets purchased during the daytime visiting hours are not transferable to Christmas at the Mission. *Complimentary Guest Passes, CertifiKID, Gold Star, Groupon and Travel Zoo are not valid for Christmas at the Mission. Mission Members attend Christmas at the Mission for FREE and receive 10% off at the Mission Store all year. Join now! Join or renew your membership now to make sure you receive your membership ID card in time for the event! Please Note: Christmas at the Mission will be held rain or shine. Ticket purchases for Christmas at the Mission are final. No refunds, exchanges or transfers will be honored. Thank you for your understanding. 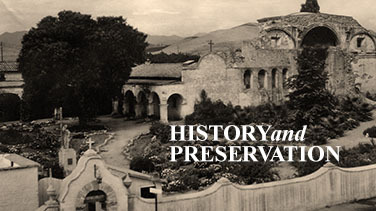 If you are unable to attend Christmas at the Mission, please consider the cost of your tickets a charitable donation in support of Mission San Juan Capistrano, historic California landmark #200 and 501 (c)(3) non-profit organization #95-1904079. Spread goodwill and the spirit of Christmas by donating to the Serra’s Pantry Food Drive! Drop off a food donation anytime during the holiday season to the Mission Gate House 9:00 a.m. – 5:00 p.m. or upon entry for Christmas at the Mission. Christmas at the Mission features holiday shopping for unique gifts, nativity scenes and beautiful handcrafted items from around the world. 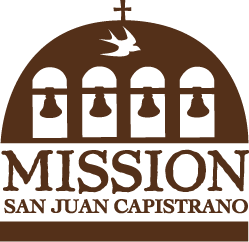 Visit the Mission Store and also the Mission Store Cart, a special extension of the Mission Store located near the West gate area inside the Mission grounds. Christmas at the Mission is part of a community-wide holiday celebration in San Juan Capistrano. 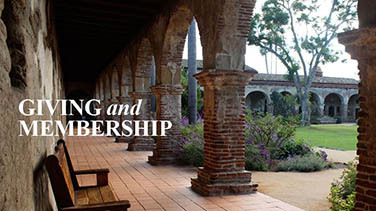 Before and after visiting the Mission, plan an evening full of fun, festivity and memories in historic San Juan Capistrano, home to the Jewel of the Missions. City of San Juan Capistrano’s Tree Lighting Ceremony: An annual tradition celebrated in Historic Town Center Park. Tree Lighting Ceremony begins at 4:15 p.m. on December 1st and is followed by a variety of free activities for families in the downtown walking area. Check back soon for full program of activities. Shopping and Dining in San Juan Capistrano: Enjoy a whole evening of holiday festivity, dining and entertainment in beautiful, historic San Juan Capistrano. Many restaurants and shops are open late and offer special discounts or entertainment for this community-wide celebration. Check out our list of recommended restaurants here: Restaurant Members. Getting to San Juan Capistrano: There will be a free shuttle service in San Juan Capistrano from 3:00 p.m. – 10:00 p.m. for the Tree Lighting Ceremony & Festivities. Click here for details about 2018 Shuttle Service Map. The Metrolink is also a great way to get into town with a train station located just two blocks from the Mission. Please refer to the Metrolink website to check train schedules: Metrolink. Thank you to our 2018 Christmas at the Mission Sponsors for their Generous Support. For sponsorship opportunities, please contact the Events Department at (949) 234-1316.